Paleta Payaso: CREEPY MEXICAN CLOWN CANDY FUN! 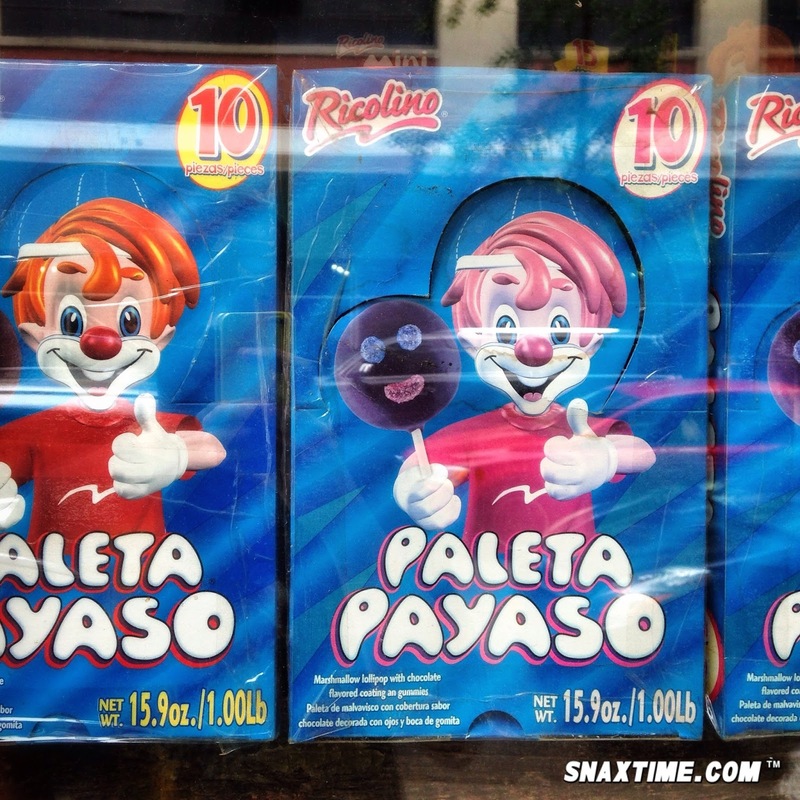 The candy sensation Paleta Payaso has been thrilling Mexican children since 1972. Translated to Clown Lollipop, Paleta Payaso is a curious treat that is surprising to anyone who has never had one. From the packaging on the outside, a friendly redheaded boy clown beckons you inside. Once you open the package you not only find his head on a stick, but you discover that he has been doused in chocolate, his insides are made of soft marshmallow and his bright blue eyes and jolly smile are made of fruity gummy drops! Not only does this south-of-the-border treat taste yummy but there is a mischievous element to it that makes it so fun to eat. If you find yourself in Mexico or at a latin foods store, keep your eyes peeled for this severed clown head on a stick!